Anyway, that's not the point of today's post. While I might not always feel pretty when I'm makeup-less, I certainly want to feel fresh and I think that's why I've been more experimental with my hair and bodycare. 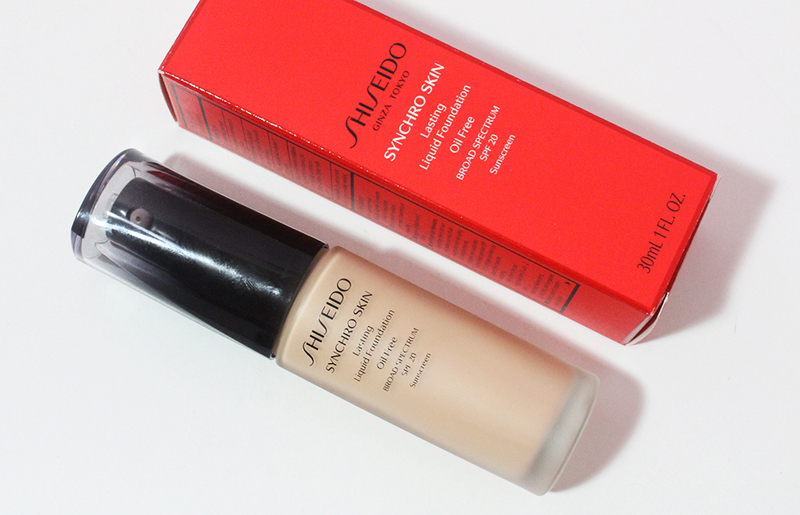 These are a few things I've been using from some quite trendy brands so I thought it'd be timely to give my two cents. My scalp tends to be on the oily side and even second day hair tends to gross me out. I probably don't look as oily as I feel but that's the problem - I hate feeling icky! I've used a lot of dry shampoos but have never tried one in a foam formulation. I purchased the Ouai Morning After Kit on a whim, mostly for the hair and body oil, but the Ouai Dry Shampoo Foam might have stolen the show. I was skeptical that a foam would soak up oil and kept my fingers crossed that my hair wouldn't feel dirtier after (I think I closely relate foam anything with whipped cream). Well, I have to hand it to Ouai - they did a great job formulating this. It's so easy to use. I just pump out a bit of the foam, smoosh it between my palms and work it into my roots, combing it through my hair with my fingers. It dissipates very quickly and leaves my hair feeling cleaner in seconds. There is no white residue at all and no greasy or sticky feeling in my hair or on my hands. The one slight negative I have with this product is the perfumed scent. It's not a bad smell but it's very, very strong. If you are sensitive to scents, this might be a problem for you. If you're into the concept of deep cleansing shampoos, you should give the Christophe Robin Cleansing Purifying Scrub with Sea Salt a try. It's extremely pricey for what is essentially salt and a coconut oil in a tub but it's great at "resetting" my hair. I like to use this after a very sweaty workout. As with the Oaui dry shampoo, this has a very strong smell. I'm not good at describing scents but this one reminds me of men's cologne. Not my favorite but it doesn't linger in my hair so I can deal. A little goes a long way - I use about the size of a small strawberry for one wash - so even this small tub will last at least a dozen washes. I bought this travel size tub ($19 for 2.7 oz) from SpaceNK because I had a $10 voucher but I'm not sure if I would buy the 8.3 oz full size one for $53. Certainly a nice-to-have but probably not a must-have. Now onto bodycare! 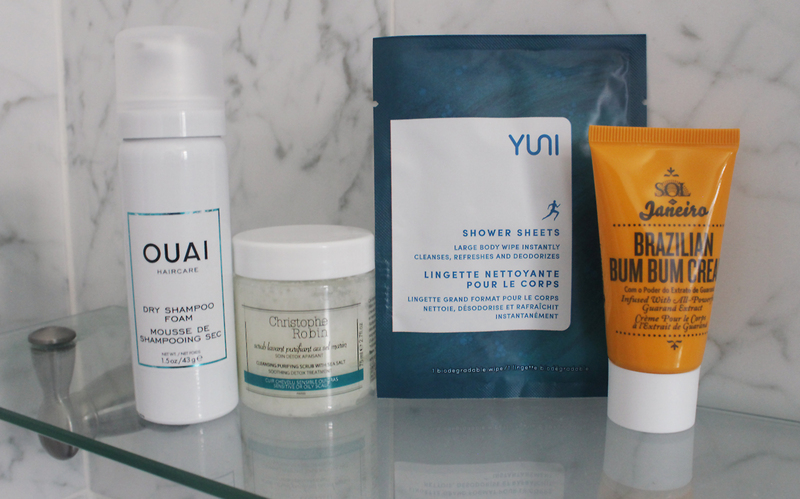 I had been eyeing the Yuni Shower Sheets a few months back when the brand debuted on Sephora's website and I was working out 3-4 times a week (I've since gotten lazier and not as committed to my workout schedule). The brand appeared on Gilt City for awhile and I was this close to buying a voucher for something like $40 off a $80 order or something but ended up skipping it. Then a few weeks later I needed to hit the $50 shipping minimum on Sephora.com so I added these to my cart. Guys, I totally regret not jumping on the Gilt voucher when I had the chance. These are really, really handy! I always work out after work, never before, and I don't like to deal with the hassle of showering at the gym or studio so these are perfect for me. These individually wrapped body wipes cleanse, refreshe and "naturally deodorize" without the use of alcohol, formaldehyde, petrolatum, sodium lauryl/laureth sulfates, mineral oil, synthetic colors or fragrances, GMOs, PABA, EDTA, or PEGs. The first ingredient is water which is nothing exciting but the second is saccharomyces ferment filtrate. If you're a K-beauty fan, you probably recognize that ingredient because it's found in cult favorite essences such as Missha's Time Revolution First Treatment Essence. The rest of the ingredients in the Yuni Shower Sheets are a blend of various plant oils and extracts (there are some unpronounceable ingredients toward the bottom of the list). These have a mild, natural-smelling scent that I find really does neutralize any B.O. and I feel clean after - no oily residue or stickiness at all. Of course I still have to shower when I get home, but these make it so much easier for me to see friends or just go to dinner after a sweat session. Oh, and I haven't mentioned the price of these. I actually think they're pretty affordable at $15 for 12 sheets, considering the impressive ingredients list. Love these and will definitely be repurchasing when I run out. I'm still bonking myself on the head for not taking advantage of the Gilt deal and stocking up on these! Last up is a body cream that I swear Sephora has been shoving down our throats via our inboxes and their home page. It's the Sol Janeiro Brazilian Bum Bum Cream and I'm pretty sure it's the name that makes this one so enticing. I picked this up as a 100 point perk just because Sephora is so good at piquing my interest. The marketing behind this product suggests that the star ingredient, Guaranà Seed Extract, "supports natural circulation, boosts energy, and smooths skin" and that it contains five times the caffeine of coffee. Well, you would think this super special seed extract might be the first, second or even third ingredient. Nope, not even 10th. It finally shows up as the 14th ingredient on the list. Everything in front of it is water, synthetic moisturizing agents and fragrance. And oh boy, did they use a lot of fragrance for this. It's a very summery scent - I brought this little tube with me to Miami for July 4th and it fit the atmosphere perfectly. The scent lingers and it also hangs onto clothing so if you shower in the morning, you might like that about this. I feel pretty meh about this cream and definitely won't buy the full size. I wasn't kidding when I said Sephora is pushing hard on this cream. Just when I finished up my 100 point perk, I received another mini in my August Sephora Play Box! My negative review aside, it's not a terrible body cream and I experienced no adverse effects from it. I always appreciate travel sized body creams (hotel lotion samples rarely cut it for me) so this will still come in handy. Wow, this turned into a rather rambly post for just four pint-sized products! This is what happens when I've stepped away from blogging for too many weeks. 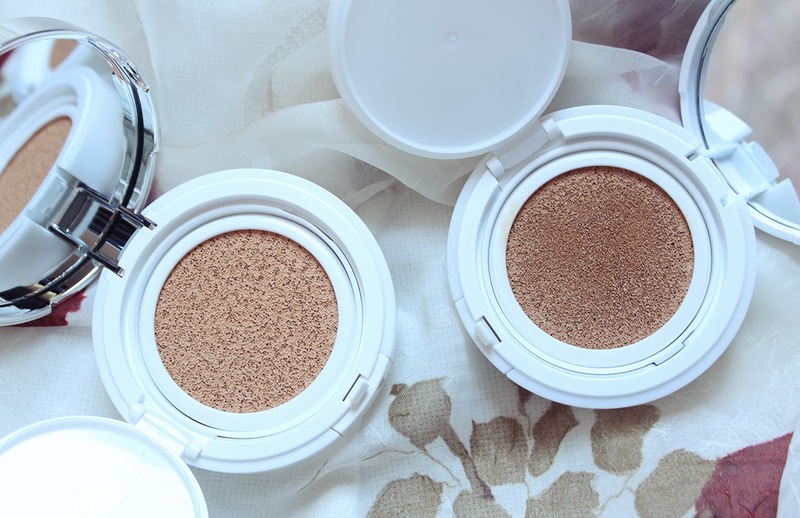 Hope these reviews were helpful if you've been thinking about trying any of these products. Let me know if you've used any yourself and what you think. I'm always curious to get some different perspectives!